Prime Residential plot 50.25 cents (17 cents – 3-plots) with 12 feet road in VARODE, Ottapalam. All aminities nearby are grocery shops,KPS Menon High school, LP School, Temple, Mosque,3 min walk to varode center, Bus stops and auto stand. 5 KM to Ottapalam railway station and bus stand. A prime land property, measuring approximately 6 acres, is up for sale after the partition. It belongs to 6 members. It is duly registered and has a clear title. The Power of Attorney is with my mother which has been given unanimously by all her 4 children and a grandchild. The plot is situated 1.5 KM from Koppam on the Koppam – Valanchery bus route, under the Palakkad District, touching the main road. It has a private road inside too. 13.5 cents for sale. Ideal land for the residential. 100 metre far from Palakkad to Thrissur road. In construction of Houses, Villas, Flats etc. We are reachable at your service. SREERAG HOMES was formed in the year 2000 with the clear vision “To be a world-class construction company committed to total customer satisfaction by building on our strengths – innovative designs, superlative quality of material, cutting-edge technology, timely completion and demonstrating the highest standards of workmanship” in construction of Houses, Villas,Flats etc. 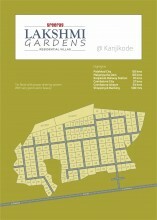 7 cents Residential land at Nellikursi, Ottappalam. 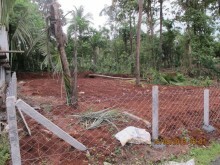 8 cent house plot in good location at Ottapalam, Kanniyampuram Panamanna road. Very near to Amritha School. 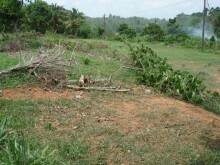 Hospitals, School, Colleges, Mini Civil Station are very near to this plot. 2 km from Ottapalam Railway station. This is a residential land of 148.5 cents in a calm and serene atmosphere. Located only 4 KM from Ottapalam railway station, Bus stand, shopping complex, hospitals and schools. Very close to Bhavan's school of Bharathiya Vidyabahavan, Varode. Suitable for gated community , Villas and housing projects.